www.trendingpopculture.com – NEW InvestComics Hot Picks every Sunday! Don’t forget to share the video below to WIN a Walking Dead autograph from Michael “Zombie” Koske! Be sure to let InvestComics know that you shared the video to be eligible! A semi short week as far as Hot Picks go, but plenty of great reads out there, so be sure to READ and enjoy the tremendous job these writers and creators are putting forth. The most unsurprising, obvious, anti-climactic comic book to hit shelves in years will be coming at us this Wednesday Age of Ultron (2013 Marvel) #10. And in a polybag?!! Marvel for real here?? Here’s the scoop for those living under a rock for the past couple of months (spoilers coming). One, Neil Gaiman is the co-writer on this issue and two, Angela; from Image Comics makes her debut in the Marvel Universe. If the cat is out of the bag, why are we getting this comic on the shelf in a polybag?? So fans cannot thumb through it to see what they already know? Maybe, just maybe Marvel has another surprise in store for us? Hopefully so, because if not this is all extremely lame. Sorry Marvel, but you dropped the ball on this one. Speaking on the topic of lame, Spawn #9 (which everyone on the entire planet owns) is the first appearance of Angela. Why is this lame you may ask? Well for one, this comic came out during the height of the Todd McFarlane Spawn frenzy, so there are bazillion copies of this book out there. It was 1993, the beginning of the end for the speculation market. Don’t believe it? Here’s some healthy numbers (not good collector numbers) to throw at you. How about 371 total graded copies of Spawn #9?! How about 231 of those graded at a 9.8?!! How about 37 signature series books, with 20 of those sitting in the 9.8 spot? No upside here folks, sorry. But, here’s a big but (get your mind out of the gutter), with the talks of Marvel saying they want a strong female lead to star in her own movie, would they actually go with Angela?? Stranger things have happened. Even then, a strong spike would occur upon that news only to level off quickly because of the supply here. Do not get caught up on Spawn #9, meaning do not pay a premium. There are simply too many Spawn #9’s sitting out there. On the complete opposite side of the spectrum here we have Ultimate Spider-Man (2011 3rd Series) #24 and 100 Bullets Brother Lono (2013) #1 this Wednesday. The opposite side of the spectrum is in regards to the graded territory. The 100 bullets character Lono first appeared in 100 Bullets #5 in 1999. In a much lower print run, this comic has a total of 6 graded comics. 1 at the 9.8 point and 3 signature series coming in at the 9.8 mark. Yes, understood that there is no demand for this comic to the likes of Angela, but what if, what if Warner Bros. branches out and starts bringing some of the awesome Vertigo titles to the big screen or television? There are so many amazing stories sitting in the Vertigo archives it’s an absolute surprise that WB or television hasn’t visited that well as often as they should. But IF and when they do, THIS; 100 Bullets will be tapped. A Showtime announcement from 2011 has never come to fruition, but don’t be surprised when it comes back to life along with other Vertigo titles. The Power Pack team are set for their first appearance in the Ultimate Marvel Universe in Ultimate Spider-Man (2011 3rd Series) #24. Unlike 100 Bullets #5, Power Pack’s first appearance print run is more than that of bullets. But this shouldn’t deter the collector from still snatching this comic up! Here’s why. First off, Power Pack is based on a kid team right? What better time than the present to get a kid team off the ground and running to a possible cartoon later on? Why not, it’s possible right? Marvel and DC have proven that their cartoon series’ are successful; this would be a no brainer if Marvel hits it with Power Pack. Want more collector nourishment? How about that there are 40 total graded Power Pack #1’s (1984) and a bit top heavy at 20 in the 9.8 range? 7 signature series books, with one in the 9.8 spot. Although the top heavy 9.8’s are a bit of a turn off, it’s still early in the game as they say. Many collectors can find the first appearance of Power Pack sitting in the 50 cent bins at their local comic shop or comic convention. Do not sleep on these kids…kids. Why would Marvel be bringing them back if they didn’t possibly have a plan in place for them? It could be a long shot you’re right, but at 50 cents apiece, what’s to lose right? Zombies are amuck once again in the comic universe. This time with Extinction Parade (2013 Avatar) #1. 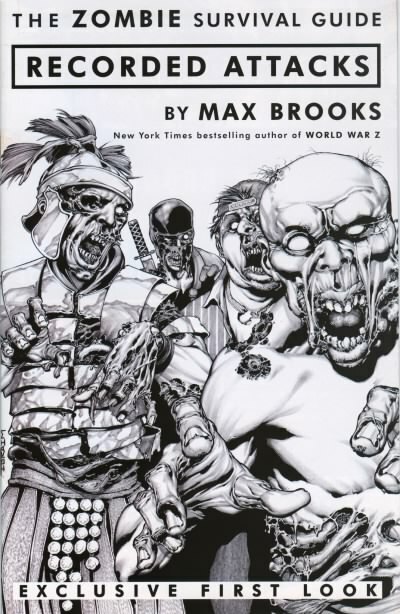 Writer Max Brooks, THE Zombie guru of all zombie guru’s is about to unleash his zombie fest on the comic book genre. Max’s first (and only!) stint in the comic book zombie world came in 2008’s Recorded Attacks from Avatar press. This is a creator who is a bestselling author, the creator of World War Z, and about to make his mark in the comic book industry. Recorded Attacks is an extremely LOW PRINT run comic that has 20 total grades. 4 of which sit at 9.8, 11 signature 9.8’s. Get this comic now fans if you want to be a part of the new zombie apocalypse that is arriving from Max Brooks. Joe Harris writes the new season of X-Files in X-Files Season 10 (2013 IDW) #1. A possible sleeper from Black Mask Liberator (2013 Black Mask) #1, also check out Wild Blue Yonder (2013 IDW) #1, Baltimore The Inquisitor (2013 Dark Horse) #0, and Spongebob Comics Annual Size Super Giant Swimtacular #1! Be sure to sign up to the InvestComics newsletter! See you soon, invest wisely.